Thanks to changes in the tax code it is now possible to use CFDs in a self-invested personal pension. This is a different facet of contracts for differences which are often seen as short-term high risk speculative instruments which revolves around their ability to help manage risk. SIPP stands for self-invested personal pension and, as the name suggests, it’s a type of DIY personal pension where you pick the investments yourself. You can think of it as being a bit like a self-select ISA, in that it’s just a wrapper into which you put investments and, like ISAs, there is no Capital Gains Tax to pay on profits. 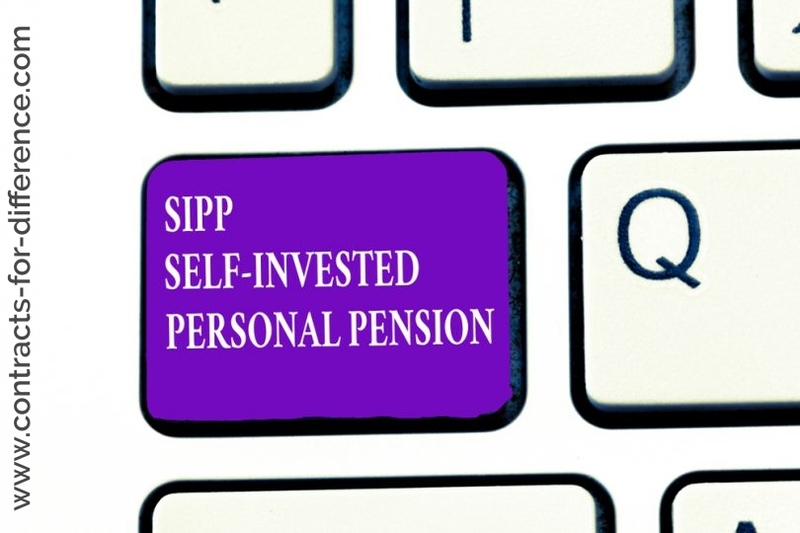 The difference is that SIPPs are basically subject to the same rules as personal pensions. They have the same limits on contributions, the same 25% restriction on the tax-free lump sum on retirement and the same requirement to buy an annuity by the time you reach 75. Sipps allow savers to invest in a range of assets, from shares, gilts and bonds to investment funds, commercial property and racier derivative-based products, such as contracts for difference (CFDs). These allow investors to bet on stocks falling in value or to hedge against share prices moving against them. Until fairly recently, most Sipp holders used the wrapper as a way of drawing down on the income in their pension plan and to avoid taking out compulsory annuities. As a result, the average age of Sipp investors was very high and the sums invested were substantial. But growth in the market has pushed the average age down and many more younger investors – in their 40s and 50s – are taking over the management of their pension pots. That also means that funds of £100,00 or less are increasingly common, fuelled in large part by the growing number of low-cost Sipp providers (especially the arrival of online SIPPs with far lower charges). Recently the list of assets permitted inside a self-invested personal pension (Sipp) has been extended and residential property and CFDs were included. A SIPP is a personal pension scheme that allows you to choose from a wide range of investments. Effectively you become your own pension fund manager. With some SIPP providers there are no annual charges at all – you pay only the annual charges of the funds you invest in. You can top-up your pension in either small regular top-ups or lump sum transfers. Although the thought of running your own pension fund may sound scary, at the end of the day the money is yours and as many people who have setup their own SIPPs say, nobody else cares as much about your money as you do. The new rules are certainly enticing. Higher-rate taxpayers will qualify for 40 per cent tax relief on property purchases, so the net price tag on a flat that costs £200,000 would be just £120,000. There will be 100 per cent capital gains tax exemption on property disposals, and no income tax to pay on the rental income. You will not be allowed to borrow more than half the value of your pension fund to purchase a property investment, but there is nothing to stop you borrowing money, or remortgaging your main home, and putting the money inside your fund to boost its buying power. However, the costs and risks associated with doing this would usually outweigh the benefits. An alternative to borrowing money is to build up a large enough fund using each year’s contribution allowances. Contributions into your pension will be limited to £215,000 initially, or to the level of your annual earned income. Residential property outside the UK will also qualify for tax relief, but rental income may be taxable in the country where the property is located. But this may not deter investors. According to Assetz, a property investment specialist, France is one of the best places to invest money: deposits are small, yields are stable and capital gains large. It believes that total returns on cash invested in France amount to 92 per cent. Not surprisingly, given the current obsession with property investments, there has been a huge increase in the number of people taking out Sipps. But for novice Sipp investors the variety of different charges levied can be daunting. Most SIPP providers also earn a bit of money by paying you low rates on any cash you leave on deposit. Some providers do offer a little bit more and use interest rates as a selling point, but if you are going to leave big amounts on deposit for long periods you probably should not be bothering with a pension plan at all. At one end of the scale are “low-cost” Sipps which generally have no start-up fees or ongoing administration charges. But as a rule they do not allow investors the opportunity to diversify into commercial property; most are restricted to collective investment funds and direct shareholdings. Some also insist that investors place a certain amount of their portfolio in the providers’ own funds. Most of these Sipps are aimed at consumers who are confident about making their own investment decisions. Investors will be expected to pay for advice. At the other end of the scale is the “full” Sipp, which allows far wider investment choice but the cost of administering an account where you can trade in Contracts for Difference (CFDs) or buy commercial property is higher. Consumers opting for a full Sipp can usually expect to receive tailored investment and pension advice and portfolio management services. But these Sipps do not come cheap – basic administration charges can be as high as £500 year and there are often additional service charges to pay. For those with smaller pension funds this is clearly uneconomic. Some online stockbroker SIPPs charge lower fees in exchange for limiting the range of potential investments you can choose from. For example, low-cost plans are unlikely to permit the purchase of property, though given the restrictions in this areas, you need a substantial fund (say £100,000) before this is a realistic proposition. While full-service SIPPs often charge annual fees of over £500 (with transaction fees on top), online stockbroker SIPPs may charge only £100 a year. Killik is aiming to bridge this gap with its new -“FlexiSIPP “. Malcolm Cuthbert, the director of financial services at Killik, says: “For the first time we are allowing many private investors access to the Sipp market. There will be no minimum investment and no costly administration charges. The main difference between Killik’s product and the other low-cost Sipps on the market is that investors get free tailored investment advice. Hargreaves Lansdown, for example, similarly has no start-up fees or ongoing administration charges. But those looking for investment advice will have to pay for this service. So how do the likes of Killik and Hargreaves Lansdown make money from Sipps? It is important to remember that low-cost Sipps are not completely free. All Sipp providers make some money from dealing charges and stockbroking fees. For example, Hargreaves Lansdown charges £9.50 for buying or selling shares or funds worth less than £499. For deals worth between £500 and £1,999, the charge is £14.95. In contrast, Killik charges 1.65 per cent of the value of deals up to £15,000. For larger transactions the fee reduces to just 0.5 per cent, with a minimum commission of £30 on share deals and £40 for funds. Whereas some providers, such as Hargreaves Lansdown, will offer discounts off the initial charges on unit trusts, other providers will charge the full 5 per cent fee and pocket a proportion of this as part of their dealing costs. Nick Arbin is an independent pension consultant who works for The Pensions Partnership, a firm of IFAs spec-i-alising in pension advice. He says no one Sipp offers the best solution for everyone – much will depend on your personal circumstances. “Many people are unhappy that all their pension is in one managed fund, run by an insurance company with mediocre performance. They just want to access the full range of funds on the market,” he says. He says certain insurers, such as Clerical Medical and Eagle Star, have offered “free” Sipps that require investors to place £50,000 in their own managed fund. However, a word of caution for those looking to move existing funds into a Sipp. Most advisers warn that it can take up to eight weeks for insurance companies to complete these transfers. He cites one example where Norwich Union took eight months to complete a pension transfer. While these delays may prove frustrating, they could also prove costly next year for investors. Suppose for example you hold a portfolio of UK blue chips in your self-invested personal pension but are worried about the short-term outlook for the market. You don’t wish to close your positions as you are in it for the long-term and don’t want to incur costs for closing and re-opening positions at a future date, yet at the same time you don’t want to see the value of your portfolio reduced due to the market turmoil. This is where CFDS come handy. To protect your portfolio you could take a short CFD position on the FTSE 100 or FTSE 250 indices in proportion to the size of your portfolio. In this scenario even if the whole market is dragged down your short position on the index will help offset any losses in your self-invested personal pension shares. This is because when trading an index you have some 100 or 250 companies you’re investing in and an index is less exposed to company-specific variables such as management decisions as it takes a sector as a whole. Note, however, that not all Sipp brokers or CFD providers will allow CFD trading within a Sipp – in fact there are a limited number of CFD services offering Sipp accounts. This is partly due to the need to control the exposure of having to deposit extra funds to a CFD account to meet a margin call but no funds being available in the Sipp or possible to be contributed without being hit by the the tax charge for exceeding the annual or lifetime limits. In practice you will also need to get permission from your pension adviser and then you will have to request your Sipp administrator to transfer some funds to a contracts for difference provider that offers CFD Sipps. In such instances the CFD provider is obliged to hold the funds in trust in accordance to the trust deed as agreed with the administrator. The trust deed is what complicates the process since every trust deed is different and an administrator’s needs may not always be compatible with services offered by a CFD provider. Stocks and shares, including investment trusts, listed on any Inland Revenue-recognised stock exchange. Collective investments such as unit trusts and OEICs. Fixed-interest securities, including government and corporate bonds. Commercial property, including land, inside or outside the UK (including hotels, motels, guest houses, nursing homes, public houses) and ground rents. Full tax relief on personal contributions (within limits). No tax to pay on contributions by your employer. Investments grow free of capital gains tax. Your fund is exempt from UK income tax and capital gains tax. However the underlying investments within the fund may be subject to taxation. Since July 1997, pension funds have been unable to recover tax deducted at source on dividends from UK equities. On death before drawing benefits, the fund can normally be paid to beneficiaries. 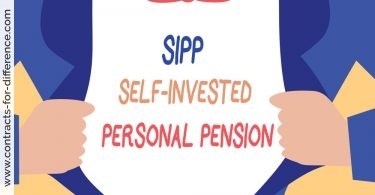 Sipps were introduced in the March 1989 with the aim of widening the flexibility and appeal of personal pension provision. Normally personal pensions are arranged with a life assurance company who provide the legal structure, the administration and the range of investment funds within one package. If that company’s pension funds do not perform well, it is usually necessary to transfer the whole policy, often with significant penalties, to another company in order to gain access to superior investment expertise. In contrast, a SIPP provides you with investment freedom and allows the assets to be managed by almost any authorised investment manager. The SIPP’s investments can therefore be managed in a style that matches your personal requirements and appetite for risk. It is also possible to appoint more than one manager, for example where different specialities are required. You can contribute anything between 17.5 per cent and 40 per cent of net relevant earnings, depending on your age, up to a maximum of £102,000. All Sipp contributions are made net of basic tax. If you contribute £3,600 gross you only have to send off a cheque for £2,808. And you need no proof of earnings up to £3,600 in contributions. On retirement, you can take 25 per cent lump sum as cash. Dividend tax credits are not reclaimable. You can also make gross annual contributions of up to £3,600 for a non-earning spouse, getting £792 of relief for a non-taxpayer. You can draw down your pension flexibly. Typically, you can split your Sipp into 1,000 units. and you can cash these segments in progressively as you get older. 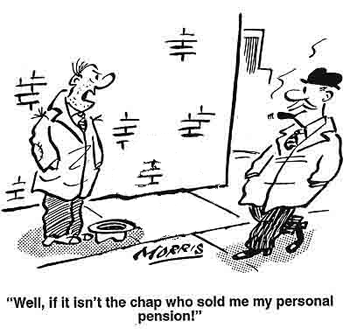 Trustees are required – their job is to safeguard the assets within the pension fund. The provider that you deal with may be the named trustee but, as not all companies can act in this capacity, that role may have to be delegated elsewhere. A big advantage of this type of arrangement is that the investment decisions made will not be affected by anything that may happen to the provider, unlike the case of Equitable Life. You appoint a trustee that “Looks after” your pension and the legal requirements. You appoint a broker or brokers to look after the dealing. Therefore you should make two choices. Most brokers practically appoint the trustee for you (in return for some reciprocation no doubt). I use ODL Securities and Comdirect for my execution in the SIPP. ODL are very flexible. You can even open a separate CFD SIPP account directly with your CFD provider and thus keep the account separate from your core SIPP to better manage the risks. This might include limiting the net exposure of the contracts for differences account to no more than 70 per cent of the leverage on offer.